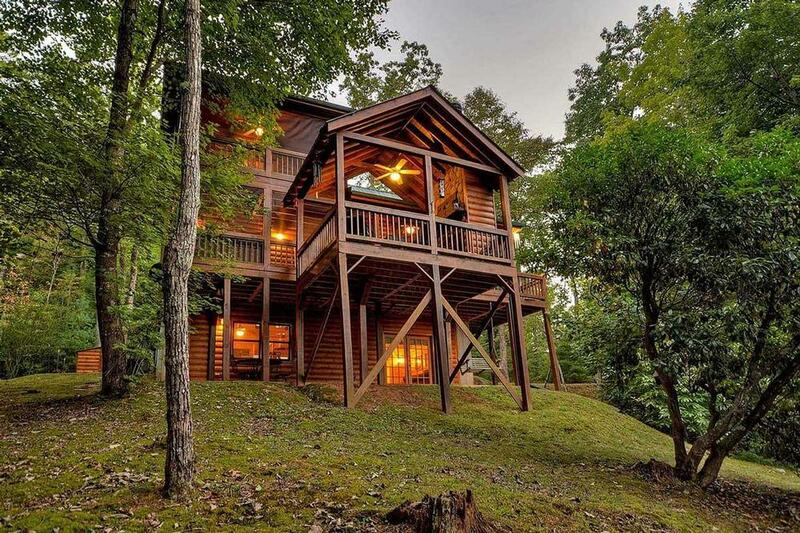 Considering a Blue Ridge, GA cabin rental for your next vacation? Then you should definitely consider Above it All, a beautifully appointed, elegantly rustic cabin with spectacular long range mountain views. Perched on a hillside surrounded by forest, it’s literally above it all, bringing you closer to heaven as you take in the amazing vistas that greet you from every angle. It’s the kind of restful, relaxing place where you’ll feel your pressures disappear and spirits lift, from the moment you open the door. The log-sided lodge is charming, welcoming, beautifully furnished, and well stocked with all the comforts of a home away from home (including wifi, of course), and spacious enough to accommodate 10 family members or friends. There are two master bedrooms, with a king and queen size bed, access to a screened decks, ceiling fan, flat screen TV and private bath, with tub/shower in the main floor bathroom and jetted tub and shower upstairs. There’s a queen bed in the upstairs loft, and for the kids, a king bed and twin bunk beds in the downstairs bedroom, which has an adjacent bathroom with shower. Laundry facilities are located on the main floor. Under a soaring vaulted ceiling, you can gather in the family room before the stone wood-burning fireplace to kick back, relax and watch TV, play billiards, games or choose from a library of books in the game room, or head out to the screened deck and enjoy the view while you soak in the hot tub, warm yourself by the fireplace, or fire up the gas grill for an al fresco meal. There’s plenty of outdoor seating, including a dining table that seats six. Inside, the kitchen has everything you need to prepare everything from snacks to gourmet meals, with plenty of cabinet space, stainless steel appliances, and adjacent dining table for eight. Don’t want to cook? The fantastic restaurants and cafes of downtown Blue Ridge are a short drive away, as are activities like rafting on the Ocoee River and boating on Lake Blue Ridge. With so much for your family to do, explore and enjoy both at the cabin and nearby, Above it All is the ideal destination for a vacation you’ll never forget. 01/19 - The entire experience was amazing. Just had trouble with wifi but it gave the family time to bond. Very professional and accommodating. We will return. 10/18 - Cabin location was great and convenient. Close to Blue Ridge. Lots of linens, all appliances needed and beautiful back porch. Easy to book and lots of options available. 08/18 - The cabin was beautiful. 06/18 - We enjoyed the hot tub and the fireplace. 10/17- Loved all of it! Everyone who stayed during this trip said they loved the cabin and would definitely come back again. The people I talked to were always friendly, helpful, and courteous. 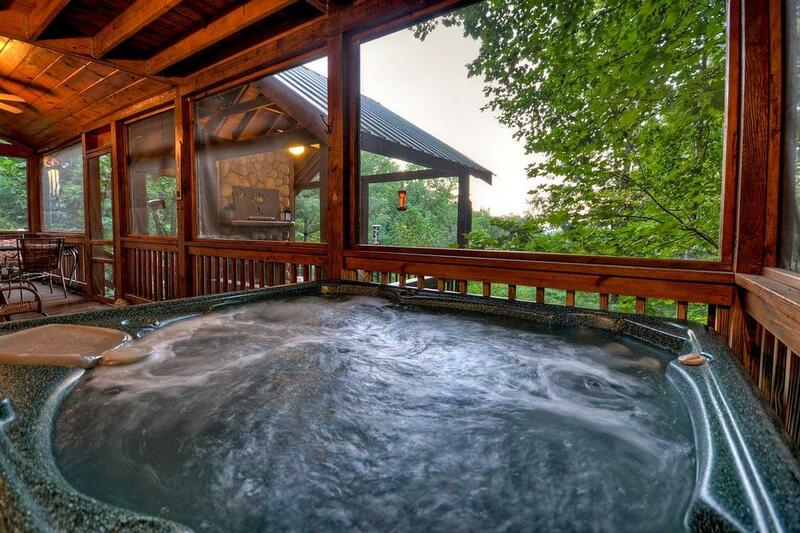 09/17- Enjoyed the screened in porch and the hot tub up on the second level. Escape to Blue Ridge has some beautiful cabins, that I've stayed in several times.The beautiful wood that the cabins are made out of inside is very beautiful. 09/17- Above it All cabin exceeded our expectations and was a very beautiful, cozy and inviting home. The upstairs porch off the master bedroom was one of our favorite spots to hang out because of the breathtaking views! We absolutely loved this home and after Irma hitting our home in the Keys, we didn't really want to leave. I was ready to live out of my suitcase! 08/17- Beautiful home in a beautiful place. Outstanding. 08/17- The pool table and hot tub were a hit with our teenagers. The company is easy to work with. 07/17- We enjoyed the openness of the kitchen, eating area and living area so that we could all spend time together during meal prep. 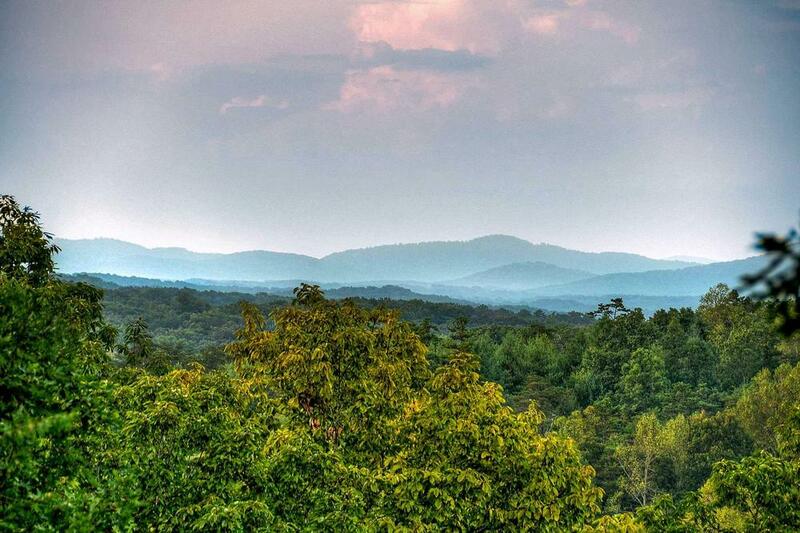 I am very satisfied with Escape To Blue Ridge. Everyone my family spoke to was very knowledgeable and professional. We would definitely use your company again when we visit the area. 05/17- This home was beautifully decorated, and we were very happy it was dog friendly so we could bring our kids. The home was very comfortable. Your staff is very friendly and helpful. 05/17- I really loved the space. It was very cozy. I loved the hot tub, I didn't want to get out! The company is very professional and was always available when I needed them. 02/17- The basement was enjoyable and the whole home was inviting, thanks! Very friendly and professional staff. 01/17- We loved the cabin! The decor was very nice and the kitchen was nicely equipped with enough utensils, pots and pans to cook. It had everything we were looking for. Thank you! Very professional and thoughtful. We loved the welcome notes and the goodies! Thanks so much! 12/16- This home was very cozy and warm. Loved the outdoor porches. We have used you 5 times and have always been pleased! 11/16- I really enjoyed the second deck with the fireplace outside. After getting out of the hot tub, I literally dried off with the beautiful fire looking at the view of the mountain range. I feel the company is a good company.